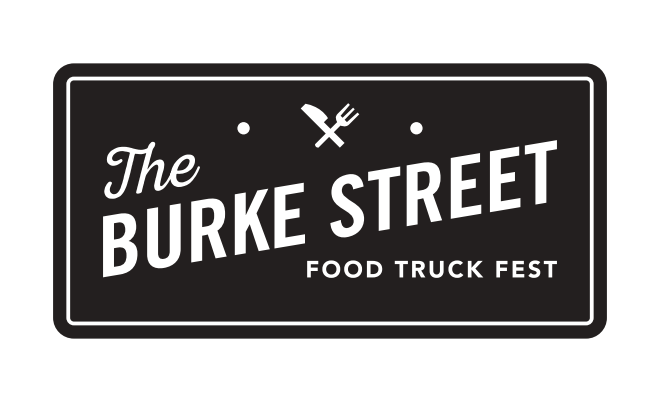 Tomorrow, April 7, 2018, is the sixth annual Burke Street Food Truck Festival and this year is the biggest one yet. There will be 70+ trucks with an entire slate of various cuisines, from Italian to Mongolian, Latin to African, Italian Ice to doughnuts. There will be something for everyone there. In addition, there will be beverage service and all the bars and shops along Burke Street, Fourth Street and Brookstown will be open and inviting you to taste their wares. There is also a ton of vendors there to show off their goods and also there will be some public seating. Three entertainment stages will be set up along the path which reaches from the corner of Fourth and Broad, back to Fourth all the way to First/Fourth/Burke intersection. Plus, there will be things up both sides of Brookstown. The stage at First and Burke is presented by Signature Real Estate, there’s a Ramkat Stage on Brookstown and also a third stage. All full of fabulous entertainment, much from this town. That adds to the intrigue, I think. Swami’s Vintage Flea will have a plethora of vendors. The Winston-Salem Dash will have a Kids’ Zone and there will be an NC Beer Garden, as well. After all, April is NC Beer Month! VIP tix get you an hour prior to the general population to keep the lines shorter and get more of what you want. Check this link to find more about the VIP tix presented by Allman Spry. Now, the weather forecast is looking kind of wet. But, this is a rain or shine event and there will be plenty of places to duck into. And, just bring an umbrella. Get out there and support your local events. Don’t worry about getting a little wet. The festival is presented by PMG Research, whose mission is to bring clinical research to as many lives as possible while delivering unparalleled service and exceptional value to our clinical trial partners and stakeholders. All proceeds from this event go to H.O.P.E. of Winston-Salem which is dedicated to preparing and transporting nutritious meals on Sunday to children in neighborhoods with high food insecurity. So, not only are you getting great food, great times, great entertainment, but you’re providing help to a very awesome charity. That’s always awesome. Don’t be afraid to wander into the shops on Burke Street, too. They’ll be open and ready for you. You can get a map of the food trucks by visiting here. A listener writes in about investigating some food news. We do! Tim talked to Claire Calvin about Alma Mexicana and the new Canteen Market & Bistro. A new Ramen restaurant is coming to downtown WSNC, finally! Last year, they had around 30 trucks. Attendance was around 12,000-15,000. People complained that the crowds were too thick, the lines were too long, the trucks ran out of food, not enough places to sit and not enough bathroom access. This year, they’ve increased the number of trucks from 30 to over 60. They’ve increased the overall footprint of the festival and increased the seating and bathroom ratio. They’ve also added a VIP option that gets you in and makes the food available to you from 2 p.m. to 3 p.m. before anyone else is allowed to congregate. The number of VIPs have been capped at 500. Some have complained about that: “we have to pay $20 for nothing and still buy the food?” Well, yes. However, if you think of this way, 12,000 people with 30 trucks = cluster-mess. 500 people with 60+ trucks? Spread out and enjoy. I believe it has value. But, I get that it may not be for everyone, but some it may be. Also, there will be many arts/crafts/etc. vendors and beverage vendors throughout. Also, there’s singer/songwriter stage (Stage 2) that will be at the top of Burke Street near Fourth. The Main Stage will be near Old Winston Social Club and will have bands from 4-8pm. Those bands are Suitcase (opening the show), Wafer Thin and Luxuriant Sedans (headlining). In addition to that, I will be emceeing the main stage festivities. Come up and say hello. It’s going to be a great day for food, drink and entertainment. Yes, it may be a little cooler than you’d expect/want but it will be worth it.